YOU can apply completely online now and save application before submitting it to come back to it later. 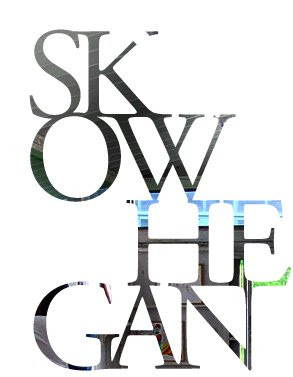 CLICK the image to go to Skowhegan's website. We are planning an informal celebration/postcard exhibition as a fundraiser FOR DECEMBER 12 FROM 6 TO 8 PM. This will be a goodbye to Elkins Park and HELLO TO MAIN CAMPUS EVENT. December 1, with the attached entry form filled out, in the bin in the Photography area, Elkins Hall, room 102. PLEASE MARK YOUR CALENDARS FOR THE EVENT IN THE PHOTOGRAPHY HALLWAY GALLERY, DECEMBER 12 FROM 6 TO 8 PM. Closing event: December 12, 6 - 8, Elkins Hallway Gallery at Tyler School of Art. 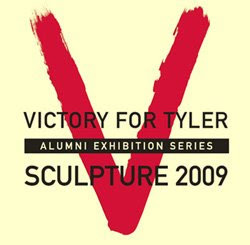 Deadline December 15, 2008 : The Victory for Tyler alumni exhibition series seeks entries from all Tyler alumni who consider their medium to be sculpture for this biennial exhibition benefiting Tyler exhibitions and public programs. The exhibition takes place April 1 - 26, 2009 at the Ice Box Project Space, 1400 N. American Street, Philadelphia. Eligible media include installations, performance-based work, time-based work, and time-based media. Juror: Sarina Basta, Curator, Sculpture Center. All entries will be considered for one of three juror prizes sponsored by the Tyler School of Art Alumni Association. To apply, download an entry form from www.temple.edu/tyler/victory. If you have any questions, e-mail james.jordon@temple.edu or call 215-204-6057. Earlier this year I made an intro post to first year Sarah M. Muehlbauer's work. I tried to post the video she sent me but blogger wouldn't allow it. This is a video from her flickr page of an interactive piece she made this semester, with lots of Tyler people using it. Enjoy! 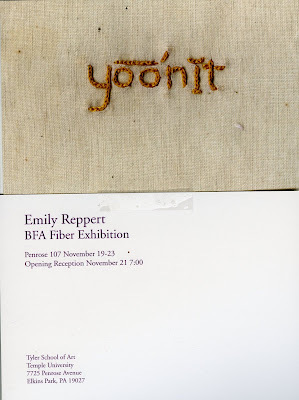 Emily is a fibers undergrad, she is awesome and a weaver, so I am posting the info about her BFA show here. Its tonight at 7pm! For the past several years Daniel Bozhkov has been involved in realizing projects taking various forms from ambitious interventions, media events, to discrete objects, paintings, and photographs. Given Bozhkov's fine art training in Bulgaria, his conceptually-driven work is often anchored by a traditional craft or skill, converging old world and new world practices in order to pursue new meaning, surprising connections and provoke philosophical inquiry. Daniel Bozhkov studied at the Academy of Fine Arts in Sofia, Bulgaria where he was trained in the traditional painting techniques of fresco, egg tempera and oil painting and completed graduate studies in Fine Arts at Hunter College in New York City. He teaches at the Skowhegan School of Painting and Sculpture, Columbia University, Yale University and Rhode Island School of Design. An award -winning artist, Mr. Bozhkov works and exhibits nationally and internationally. Recently this summer I became the number one international competitor of the sport Spur-Bo-Peez its a combination sport involving Spurlunking, Bocce Ball, and the Trapeze with an emphasis on a mixed martial art performance. Spur-Bo-Peez was actually going to become the 200th introductory sport in this year's Olympics, however a late July accident involving a loose Bocce Ball, faulty wing nut, and some frayed climbing wires killed he previous number one international ranked competitor of the sport. Unfortunately the games commission removed the sport from the Olympic circuit deeming it unfit for international competition. Fortunately for me I was catapulted into the top seed position after this unfortunate accident and myself and fellow Spur-Bo-Peez are confined to performing this overly competitive tasks in back alleys and old mobster basements trying to keep the tradition of this great sport alive. 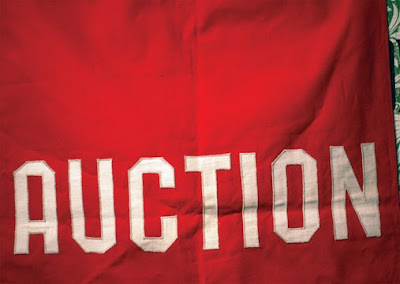 Please join us Friday Nov. 21st at the annual UPenn MFA Art Auction to benefit the 2009 MFA thesis exhibition. The auction is from 5:30-9 PM in the Meyerson Gallery at 210 S. 34th St. Work from over 40 artists will be available including; Terry Atkins, Jane Irish, Doug Martenson, Eileen Neff, Nigel Rolfe, Judith Shea, and Jackie Tileston. Artwork includes drawings, paintings, ceramics, prints, sculptures, and photographs. There will also be gift certificates from Philadelphia restaurants and businesses. Everything is affordably priced with some items starting as low as $10. Appetizers, beer, and wine will be served and DJs will provide music through out the evening. of Fine Arts at the University of Pennsylvania at 215-898-8374. Natalie Cheung is a first year photography grad, she is working on something that is proving to be hard to talk about in the photography world. Its the most abstract work coming out of Tyler's photography grad program right now and in recent years past. I am currently working on projects that involve historical photographic processes and approaching them in an experimental fashion. 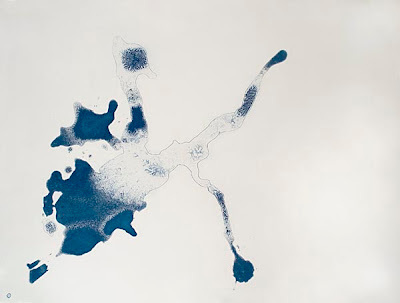 The images are 22X30inch cyanotype photograms of cyanotype. Im ages: 22X30 inch cyanotypes on grey rives bfk paper, courtesy of the artist. want to exhibit at FLUXspace? Submit a proposal asap! Note: Submissions of images may be submitted as slides or files burned onto cd. Digital Images should be in a high res .jpg format, with a limit of 20 images. Video pieces should not exceed 5 min. with a limit of 4. 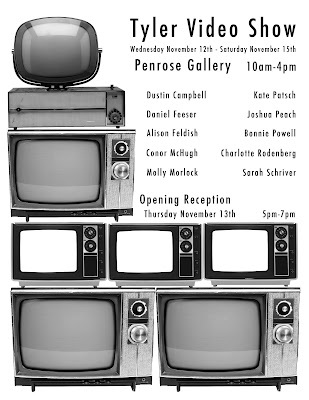 Grads in a Video Show in Penrose Gallery! Please join us for an informational meeting on the Tyler Art Workshop in Scotland. In addition to an overview of the program including images of the beautiful landscape and associated costs, Ken Mitchell, the coordinating faculty member from the Glasgow School of Art (GSA), will be joining us to talk about the GSA and answer questions. In conjunction with the Glasgow School of Art, the Crafts Department of Tyler offers a studio program in Scotland. The program consists of four weeks of travel and intensive studio workshops in a variety of media, and explores the art, culture, and geographic beauty of Great Britain. Students will experience different elements of Scotland’s culture in urban and rural environments. The workshop begins by living and working in a 19th century castle called Hospitalfield House, now a hostel and a museum, which is situated in the small east coast fishing village of Arbroath, followed by a trip to the rugged and beautiful Isle of Harris. The workshop will conclude in Glasgow to work in the studios of the famous art school building designed by Charles Rennie Mackintosh. While working at the Glasgow School of Art, students will study with Tyler faculty as well as with resident artists. 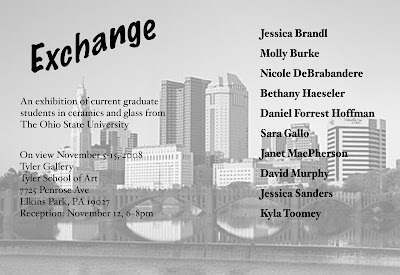 Thursday, November 13 at 6:30 p.m.
Panel discussion featuring the participating artists and exhibition curator. Opening Reception following immediately in the Art Gallery. Arcadia is pleased to offer FREE ROUND-TRIP BUS TRANSPORTATION from Center City to Arcadia University Art Gallery on the evening of November 13, 2008. The chartered bus will depart from the front of Moore College at 5:30 p.m. and arrive at Arcadia University Art Gallery by approximately 6:15 p.m. Following the panel discussion and opening reception, the bus will depart Arcadia at 8:30 p.m. to return riders to the front of Moore College by approximately 9 p.m. To reserve a seat on this bus, please e-mail gallery assistant Jamar Nicholas (nicholaj@arcadia.edu) or phone him at 215-572-2133. Reserve now as seats are limited. 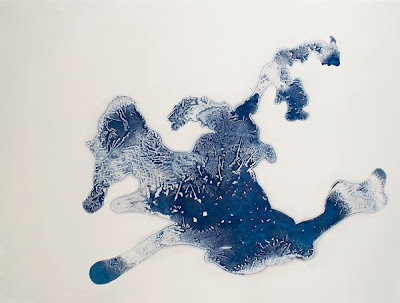 "A Closer Look 7" continues a ongoing series initiated in 1995 to present in greater depth the work of selected artists who have preciously exhibited in Arcadia University Art Gallery's juried "Works on Paper" shows. The exhibition features recent work by Phillip Adams, James Johnson, Kocot & Hatton, Lucy Pullen, and Linda Yun, all of whom (with the exception of Pullen) currently live and work in Philadelphia. Curated by Sheryl Conkelton, Director of Exhibitions and Special Programs at Tyler School of Art, the show builds on affinities between the selected bodies of work and projects-some of which have been realized expressly for this occasion. The seventh iteration of the series, this exhibition offers a speculative review of aesthetics that foregrounds perception in a range of material experience. "Each of these artists has developed a conceptual artistic practice that engages the material world and perceptual pleasure," Conkelton says, "using perception as a means of gesturing towards or modelling conceptual and theoretical spaces." Phillip Adams' life-size charcoal portraits subtly complicate the viewer's relationship by replacing her with an imaginary reflected world. James Johnson expresses the ambivalence of the artistic position with a brightly lit but partially obscured construction. Kocot & Hatton present glowing hallucinations that record the moment of waking from sleep. Lucy Pullen's sculptures model invisible physics using simple shapes complicated by reflective surfaces. Linda Yun uses patently artificial materials to convey a natural phenomenon, crafting her representation through visual and aural rhythms. 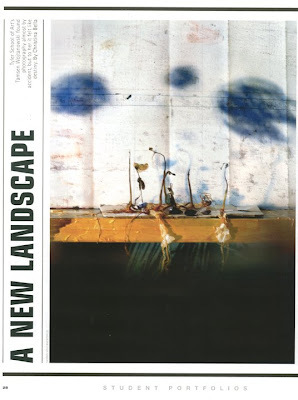 The theme for the 2009 Members' Juried Exhibition at the Delaware Center for the Contemporary Arts engages the latitude, limits, and attitudes with which boundaries are either upheld or transgressed. Lines demarcate parameters, thresholds, borders, and territories, which in turn define the evolving notions of value systems such as nationalities and geopolitical or gender relations. Crossing Lines can be about accidentally, deliberately, or serendipitously mixed signals in communication; paths crossing or colliding at an intersection; and the blurred, erased, or reinforced boundaries of time, place, tradition, and genre. Artists working in all media are encouraged to follow, trace, push, or cross the lines of this theme. 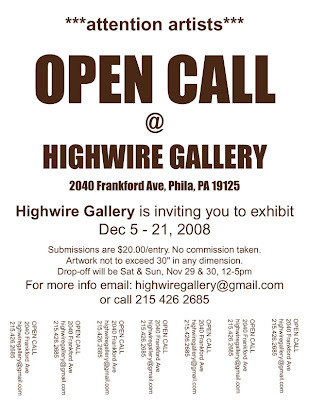 Deadline December 03, 2008 : The Philadelphia Mural Arts Program (MAP) has announced a Request for Qualifications for a large-scale, multi-media, multi-work public art project in South Philadelphia. This project, entitled “Journeys South” seeks to produce multiple works of art that explore the history, struggles, and traditions of South Philadelphia in a public setting. The project will explore the theme of immigration and migration as told through the histories of the peoples who settled there and shaped its character over almost four hundred years. Eligibility: artists working in any discipline (e.g., visual artists, poets, writers, performance artists) are encouraged to apply. Multiple artists or teams of artists will be chosen for this project. For complete information and application guidelines, click here. Strauss Bourque is a first year sculpture grad who is a man of few words, apparently. I did force this studio visit on him after a long meeting about relational aesthetics. I will take what I can get. His studio is always changing and right now it is really grey in there, he will have a website made next semester. Erin M Riley - First Friday @ Deep Sleep in Old City!!! Erin M. Riley is having a show at Deep Sleep, an owner operated boutique that sells limited edition screen printed or sewn t-shirts and really good quality denim and also just started selling records. They have a monthly artist hanging on their walls and host musical shows as well as comedy or spoken word in their basement, its usually around 10 bucks. First Friday Opening Reception: November 7th 7-9pm!! with musical entertainment in the basement! vegan cupcakes for the first few visitors!!!! and free red bull all night!! 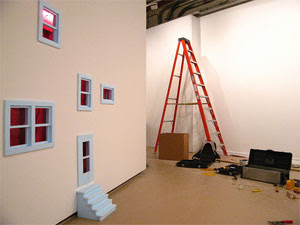 Sculpture Space, Utica, NY, invites emerging, midcareer & established artists to apply for a workstay residency in Upstate New York between September 2009 and August 2010. Application Deadline: December 1, 2008. No fee to apply. Twenty artists will be selected for two-month funded residencies: a $2,000 stipend helps with residency expenses. NYS artists also receive a $100 transportation stipend and free housing. No more than 4-5 artists work at any one time, for optimal workspace. The Artist Review Committee, with one rotating Guest Panelist, meets in January ’09, and notifies artists in March of the panel's decision. Primary criteria are quality, originality and potential for growth. The receipt deadline is December 1. For application guidelines, requirements and materials, please visit our Web site at www.sculpturespace.org. The facility consists of 5,000 square feet of open studio space with a complete system of hoists, movable freestanding panels and two 400-square-foot private studios available by arrangement. A part time studio manager offers technical support. Artists have access to the studio and its specialized equipment 24/7. Please see equipment list on Web site: wood, metal and digital. Bicycles and a communal station wagon are available for local transport. The community and school groups are invited to regular works-in-progress programs. The studio is located on 3 acres in downtown Utica with nearby fabrication shops and diverse industrial resources. It is 200 miles northwest of NYC in the Mohawk Valley. Housing: Artists share a multiple-bedroom shared apartment. Current house is one block from the studio and includes laundry facilities. When more housing is needed, Sculpture Space rents rooms from a former executive director. Non-NYS artists contribute a nominal fee ($125 monthly) to their housing expenses. Artists are expected to stay for the full 2-month work stay. They are responsible for materials, specialized tools, and their meals. Utica is an historic architecturally & culturally significant postindustrial small city that is reinventing itself with its international population. (pop. 60,000). We are less than a mile from historic Union Station (train & bus) and one hour from Syracuse International Airport. Jeff Bailey Gallery is pleased to present ARENA, an exhibition of new paintings and sculpture by Mark Shetabi. ARENA is based on Shetabi_s examination of live performance, crowds and public space. How does a performer inspire a crowd? Where does this energy come from? Where does it go? Shetabi came across footage on YouTube of Freddy Mercury, Queen_s flamboyant and charismatic vocalist, and was intrigued by its connection to ideas being explored in the studio. At a 1985 Live Aid concert at Wembley Stadium, Mercury whips an adoring crowd into a frenzied and ecstatic state. The connection between the performer and audience is palpable. In a recent BBC poll, this performance was voted the greatest live performance ever. In The Public Sphere, the viewer looks through a peephole lens installed in the gallery wall, and adopts the view that Freddy Mercury saw from the stage of Wembley Stadium in 1985. A vast, undulating crowd waits for the show to begin. The viewer, like Mercury, has become the focal point of the spectacle. Several small and intimate paintings depict Mercury at this performance, both before the crowd and in isolation. Paintings of amplifiers and a large-scale painting of a drum set, shown up close, face off against a large image of soundproof foam. Ideas of amplification versus absorption come into play. Forms associated with a sonic blast are painted in a quiet palette of grays. The objects are seemingly in a state of dormancy, waiting to be used. In Fog Machine, a stage and drum set are illuminated in spotlights, either awaiting the performers, or, empty after they have left. Mark Shetabi is a Philadelphia-based artist who received his MFA in painting from the Pennsylvania Academy of Fine Arts. He is a recipient of a 2002 Pew Fellowship in the Arts. This is Shetabi_s second solo exhibition with the gallery, and he has had previous solo exhibitions at Locks Gallery and Project Room, Philadelphia, and Ratio 3, San Francisco. 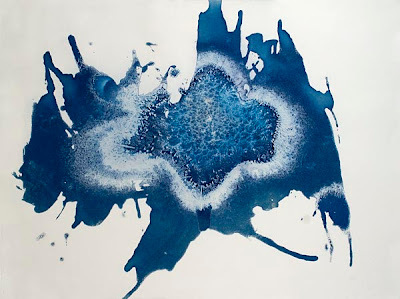 His work has been included in numerous group exhibitions, including White Columns, New York, and the Hecksher Museum, Huntington. Shetabi currently has work on view in the group exhibition Empire and Its Discontents at Tufts University, Aidekman Arts Center, Boston. Jeanine Oleson is an artist whose practice incorporate interdisciplinary uses of performance, film/video, installation, and photographic work, often collaboratively. She attended the School of the Art institute of Chicago, Rutgers University, and Skowhegan School of Painting and Sculpture. Oleson has exhibited at venues including: L.A.C.E., Los Angeles; Monya Rowe Gallery, NY; Samson Projects, Boston; John Connelly Presents, NY; Bates College Museum of Art, ME; Kansas City Museum of Art, MO; Participant, Inc., NY; PS 1 Contemporary Art Center, NY; Galerie Schedler, Zurich; Pumphouse Gallery, London; Art in General, NY; and White Columns, NY. Her work has been recently published in Performa: New Visual Art Performance, DAP 2007, Documenta Magazine, No. 2, LIFE!, 2007, and LTTR V: Positively Nasty, 2006. Media Artists? Works on Paper Artists? 60 grand? The deadline is 5 p.m. on Friday, December 5, 2008. View the 2009 guidelines in Adobe Acrobat format. All applicants are encouraged to review the Frequently Asked Questions (FAQ) section of this website or call or e-mail PFA staff with any questions you may have about application requirements, the selection process, or the fellowship program in general. 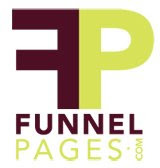 its a completely online application, which lots of places are doing now. 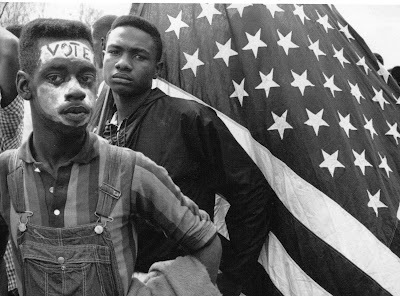 Tomorrow is election day, vote. NEXUS/foundation for today's art in Philadelphia, in conjunction with The Hacktory, is seeking submissions for "Unintended Uses," an exhibition of hacked and repurposed materials scheduled for February 12 through March 6, 2009. Artists and makers working with electronics, video, robotics, and other new media, and particularly those who reside on the East Coast, are encouraged to submit work for review. produce - it owns us." You may link to work on YouTube, Vimeo, Flickr, or any other online resource. E-MAIL your submission to Unintended.Uses@nexusphiladelphia.org. For more information, contact info@nexusphiladelphia.org or visit www.nexusphiladelphia.org. Established in 1975, NEXUS/foundation for today's art is an artist-run, non-profit gallery space dedicated to supporting local emerging and experimental artists engaged in new art practices. NEXUS presents challenging, innovative, and compelling exhibitions of contemporary art that stimulate creative thought and dialog among the public, increasing awareness of the meanings and methods behind today's art. The Hacktory, a project incubated by Nonprofit Technology Resources, promotes the use of technology in the arts through classes, community events, shared facilities and equipment, an artist-in-residence program, art and technology promotion, and materials exchange. For more information about The Hacktory, please visit www.thehacktory.org. It's a Saturday evening inside a Rittenhouse penthouse. Music plays from discreetly concealed speakers, and guests wander in pairs at the perimeters of the handsome wood-paneled rooms. The place is brightly lit - no dimming for atmosphere's sake - because what the people see is the point of it all. No ordinary party, this is an art salon called Artcrush, an ephemeral group show curated by Jenny Jaskey, owner of the eponymous gallery in Northern Liberties. The intent of such gatherings, organized by Jaskey and others in the area - sometimes in the organizer's own home - is similar to Gertrude Stein's aim in the early 1900s, when she would include movers and shakers at the Saturday evening salons at her Paris apartment. "The art became more accepted with conversation around it, when it was in a home," Jaskey says. She'd like to see a similar blending of communities in Philadelphia. "Except for First Friday, art events here are typically attended by artists, curators, and a handful of collectors," Jaskey says. "Art isn't as embraced by the business and social communities as it is in other cities." 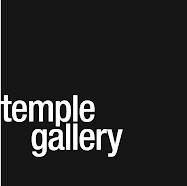 For this salon, Jaskey has teamed with Matthew and Gabrielle Canno, who are lending their Center City home to display the work of two dozen cutting-edge contemporary artists from Philadelphia and New York. In the next room, a young fellow in khakis and a crisp sport jacket looks at a quartet of large photographs hanging in a neat square over the Cannos' billiards table. A label on the wall reveals that these are Self-Portraits by Heterosexual Men by Gabriel Martinez. Opposite, two pieces by Philadelphia video artists Matt Suib and Nadia Hironaka loop on a large screen above a cushy leather couch, where three artist-types powwow and eat Tootsie Rolls from a nearby glass jar. The rooms grow more crowded - Jaskey estimates 200 guests pass through. She's a laid-back hostess, holding court among an equal number of downtown hipsters and young Rittenhouse dwellers, including some of the children of Philadelphia's most generous art patrons. In a long-sleeve black minidress, the gallerist moves from group to group. Hugo FitzGerald, 27, a self-described "beginning collector," has never seen Randall Sellers' work before, and he's interested in the artist's meticulous drawings. He's enjoying the party as much as the art. "This is a great way to spend a Saturday evening," FitzGerald says. If it were an art opening, he might have already had his fill. "Because it's in someone's home," he says, "I feel welcome to hang out longer." Eye candy abounds on the Cannos' wraparound roof deck, including a spandex piece by Leeza Meksin that stretches from the top deck to the lower deck, creating an abstract shape that's visible from Rittenhouse Square - if you know where to look. A week after Artcrush, across the city in Fishtown, there's a more intimate salon in progress at the rowhouse independent curator Eileen Tognini shares with her daughter and husband. A section of living-room wall is hung with vintage silver pocket watches filled with cast-glass ovals printed with images that artist Jen Blazina has manipulated to look like Victorian-era silhouettes. In the bathroom, surface artist Susan Benarcik has installed wall panels made from toothpicks glued together in a beehivelike pattern. Twenty-five guests and a few of the artists sip wine and graze on chocolate as they move through the first floor of the house, taking it all in. "I wanted to focus on the three-dimensional," Tognini says, "to say that it's OK to have installation or sculpture. Having art doesn't have to mean hanging a painting." 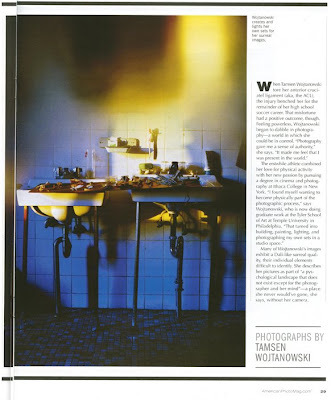 Tognini has been staging salons in her own home and with client-collaborators for the last decade. "Work shown in a home creates a very safe environment for people to render opinions about what they love and don't love," she says. She cites some work she installed in the branches of a tree outside her 200-year-old stone farmhouse at the base of Hawk Mountain in Berks County during "Gallery in the Garden," her annual salonlike event, which stretches over two weekends each September. 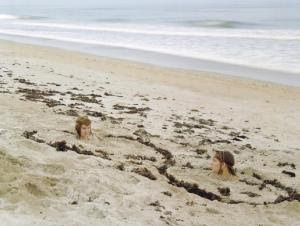 The work consisted of sacs made from hair and filled with ice. Over time, the ice melted, and the hair began to deflate and drip. Tognini was gratified to hear people gathered near the tree, sharing their disgust. That's one benefit of a salon setting, Jaskey agrees. In a gallery, where art can feel sacred, voicing strong opinions doesn't come as naturally. "People worry that they need a master's degree to look at contemporary art, to understand it," Jaskey says. "That's just not true. They need to see that it won't bite." Salons also offer the chance to discover volumes about a piece directly from the artist. In Tognini's living room, David and Joan Wenger of Center City sit on the couch chatting with artist Julia Stratton, who made the bronze sculpture that stands between them. She tells the Wengers about the Independence Foundation Grant that sent her to Russia to research a series of sculptures based on compositions by Alexander Scriabin, the turn-of-the-century classical composer. The piece they're looking at is one of them. Tognini thinks hosting art salons satisfies her own need for constant aesthetic change. "My mom remembers that, as a 12-year-old, I'd always stay up late rearranging my room," she says. Composing vignettes is part of the fun. She decided to place Pazia Mannella's Medusa, an undulating sculpture made from zippers, across the back of a low armchair. "It's so organic, it looked like it wanted to be something else," Tognini says, "not a piece of sculpture plopped on the floor. I dubbed it 'furniture jewelry.' "
On the wall above Medusa, there are four pieces titled Give and Receive by Mannella, a 2008 Tyler School of Art graduate, that look like antique Elizabethan collars, but they're actually coffee filters dyed with blackberry tea and sewn together into oblong wreaths. A guest of Tognini's, an interior designer, buys one on the spot. That's one more red "sold" dot than Jaskey got to stick on the wall at Artcrush. Of course, at $90, the coffee-filter sculptures are less of a financial commitment. And besides, Jaskey and Tognini say, salons are more about fostering community and exposure for the artists than they are about immediate sales. "Most of the people who came had never been to something like this before," Jaskey says a few days after Artcrush. "I really just want to promote contemporary art. "This is going to make people think about their environment more - it's going to make them think, 'What's in my home?' And, 'Wouldn't it be great to have something up on my wall that challenges me?' "